How can I export my form data to an Excel Spreadsheet? 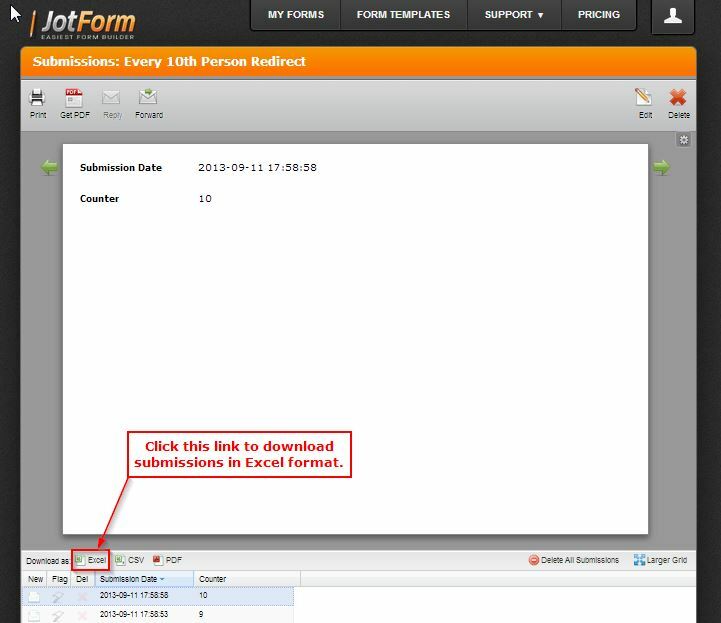 To export your submission data open your JotForm Main Page and select (single click) the form you want to work with. When you have the submissions open look for the Excel icon which is located on the bottom left corner below the form, go ahead and click on it. Once you click on the Excel link, you will start the to download your submission in Excel format.